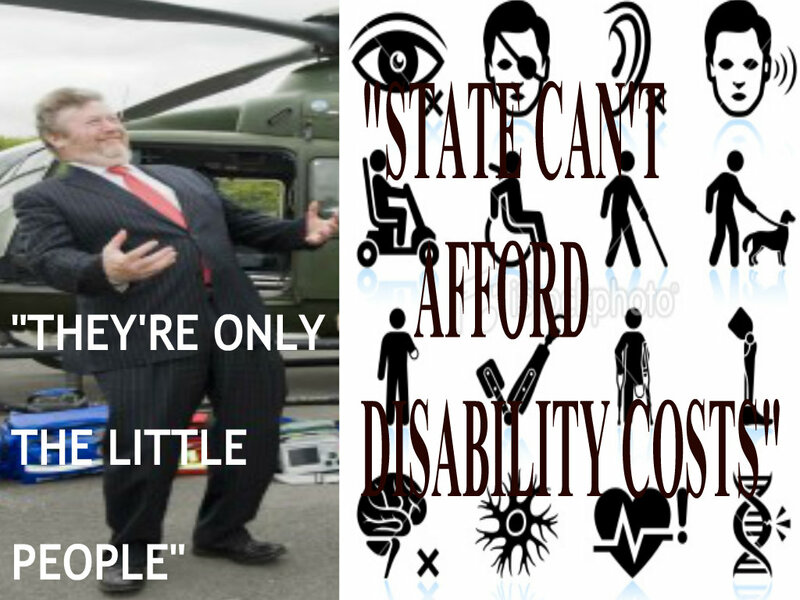 "They're Only the Little People"
They can't afford disablitiy costs,yet the politicians making those tough decisions (lol) can afford to keep their extra expenses, lavish pensions, without having them cut.....And didn't DARE touch their 100,000+ salaries,in fact they put in a rule whereby people earing 100,000+ don't have thier salaries affected,that includes those in the dail obviously. This country if it is to get back on its feet can do with cutting those on higher 100,000 + wages,cutting someone on welfare hardly is going to bring in the big bucks..
Minister Reilly is portrayed in this cartoon in such a way that prompts to mind the potential of him going forward falling into a number of the categories highlighted for people who have the visible disabilities. Obesity is supposed to be the curse and plight of the Western world with its links to diabetes, to heart disease and other other costly health conditions. 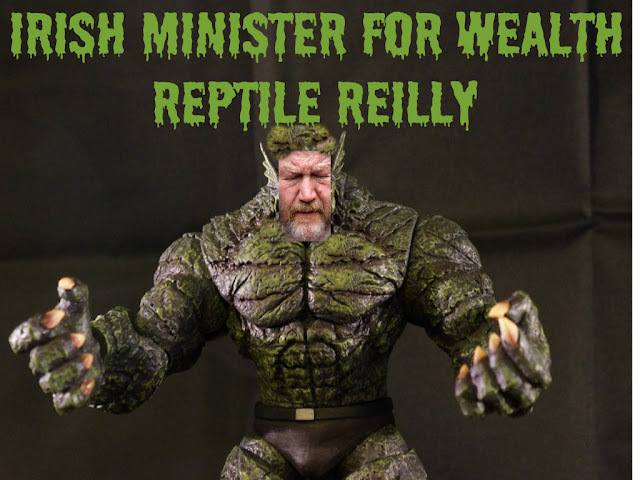 Luckily for Minister Reilly being a doctor that his private health care should cover him, add to this his investments, his Dail salary, expenses and pensions (include the lucrative IMO negotiated pensions for doctors in public practice) and then his property investments. 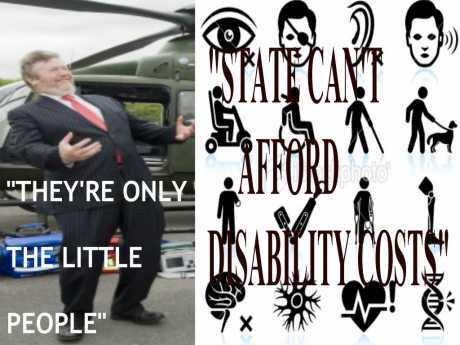 What the cartoon forgets is those of us with the bottom of the tier disabilities - the silenced conditions where people can appear normal to look at but the wiring to the brain is off kilter. I am talking about people with brain injury, victims of stroke, people with mental illhess and worst of all those with alzheimers and pre front lobe brain damage. 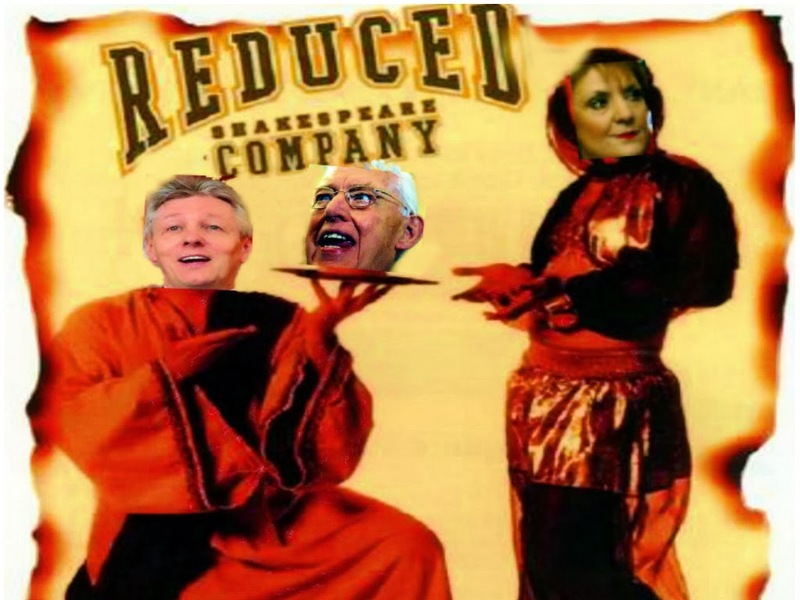 Vision of Change is a decade being promoted, only to be basically binned....The promises from Minister Kathleen Lynch are hollow and the reality is those people with no voice will be labelled, stigmatised and worse again called Moochers as happens in the USA. They say about suicide and provision. Again this is hollow. We have scattered organisations set up with the HSE having used the opportunity to divest responsibility into some 630 support groups all vying for potential clientele. I sound harsh. Try searching Indymedia on Mental Health, Suicide, Health, Public Private health provision, Alcoholism. Don't be fooled about the requests of the silenced that have gone unheard for a decade. Minister Reilly - Shame on you, whose parents were doctors and you too are in medicine. Portrane was your local asylum, how grossly unfair you are to people who are vulnerable to mental Health. Horizon research in the 1990's was funded by Europe, Trinity College Dublin, Centre for Women Studies, St Patrick's Hospital and FAS. The project was a success but FAS said it was too expensiv to roll out in early 2000. Shame on them. Look at the homeless, talk to them and you will find a lot have been released into the community with no provision for their needs. The latest scandal will be these people in bedsits facing eviction. Again consider our prisons and people who in another decade might have been in mental hospitals. It is an ageing population and if we note what is happening with the Germans - yes the old people are siphoned out of the country to care homes in mainly lower tier countries where care is cheap, We surely need to be thinking and acting sensibly now. Winners do not do Drugs. Drugs are for Losers. Just say No to drugs. We can grow food with seedballs and traditional sowing. We can make our own asprin from a willow tree and a good blender. We can order organic food and support our health shop. We can take care of our family first. Send a stamp to your elderly loved one. Visit your relatives. Make time for your family tree. Use supplements in your diet.